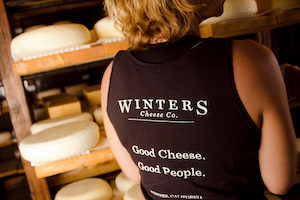 Taste artisan cheese at Winters Cheese Co.
Winters is a classic strip of Americana, a throw-back town with a forward-looking attitude, a thriving piece of living history. The compact downtown district, at once sleepy and pulsing with activity, is listed on the National Register of Historic Places but it isn’t resting on those laurels. Here, gracious storefronts house wine tasting rooms, famous restaurants, causal haunts, and the intimate music venue the Palms Playhouse. 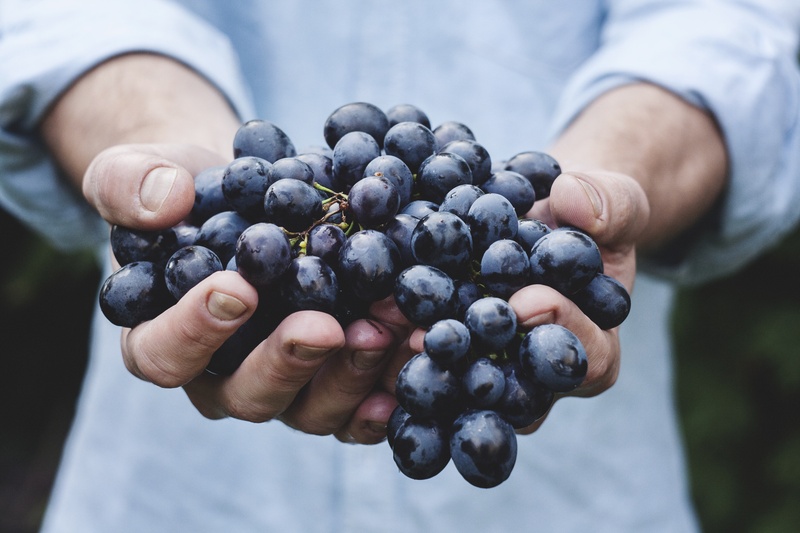 A farming community, Winters is surrounded by thousands of acres of fruit orchards and productive fields, with the meandering Putah Creek cutting through the countryside. 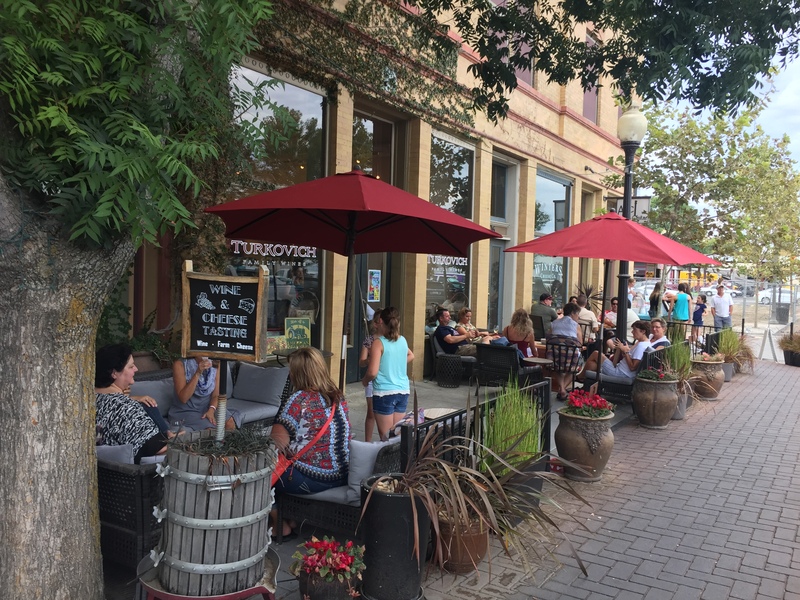 Winters is also home to a burgeoning art community, with galleries like The Clayground pottery studio and events like the annual Wine & Art in the Park Festival. Anytime of year, Winters is the perfect place to pull over your car or bike, rest a spell, and get treated warmly by the locals. 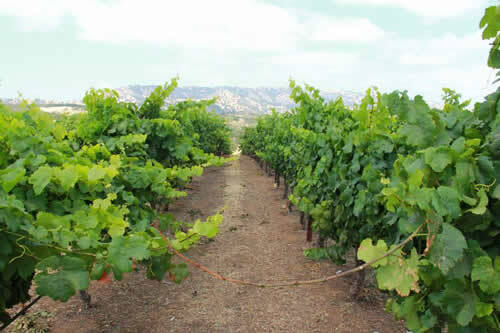 From here, you can tour nearby farms, visit scenic Lake Solano or Lake Berryessa or the verdant Capay Valley, or make your way to Woodland or Davis. Who doesn’t like a nice piece of cheese? Whether tart or creamy, seasoned, smoked, or just straight up, cheese is one of life’s simple, elegant pleasures. 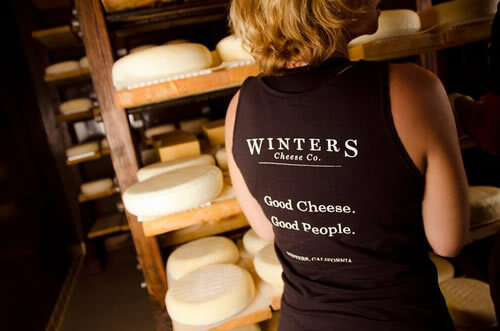 You’ll find great pleasure in sampling the artisan offerings of the Winters Cheese Company in downtown Winters. Cheesemaker Daniel Turkovich comes by his craft honestly. He grew up helping his father every summer on the family farm. He attended college at Cal Poly, San Luis Obispo to study winemaking, but through hands-on experience at the Cal Poly Creamery, Turkovich discovered his passion was making artisan cheese. After graduating, Daniel came home to establish the cheese company, continuing the family tradition of making fine agricultural products. He makes several delicious varieties. For example, Tomme (rhymes with “home”) has a buttery, milky nose, with a mild, slightly sweet, nutty flavor. His most popular cheese is Caerphilly, modeled after the Welsh original, and tastes like a full, tangy marriage between a sharp cheddar and parmesean. 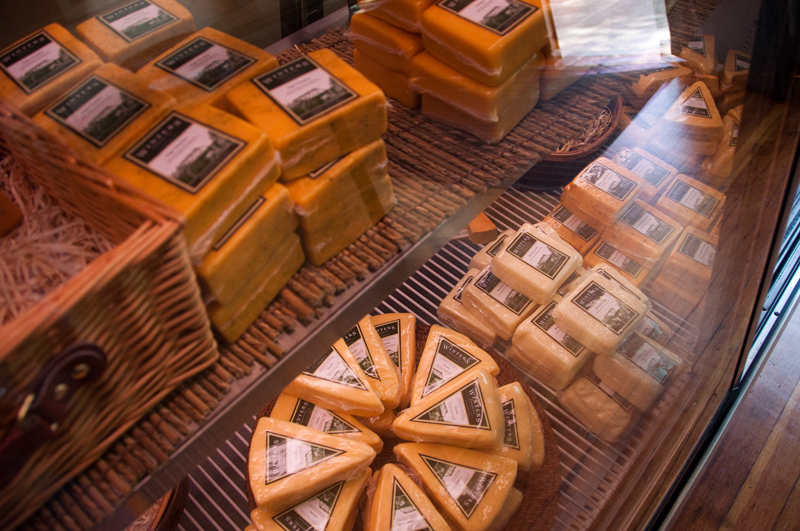 Additional choices include Sage Cheddar, Smoked Gouda, Chipotle Jack, and a handful of others. 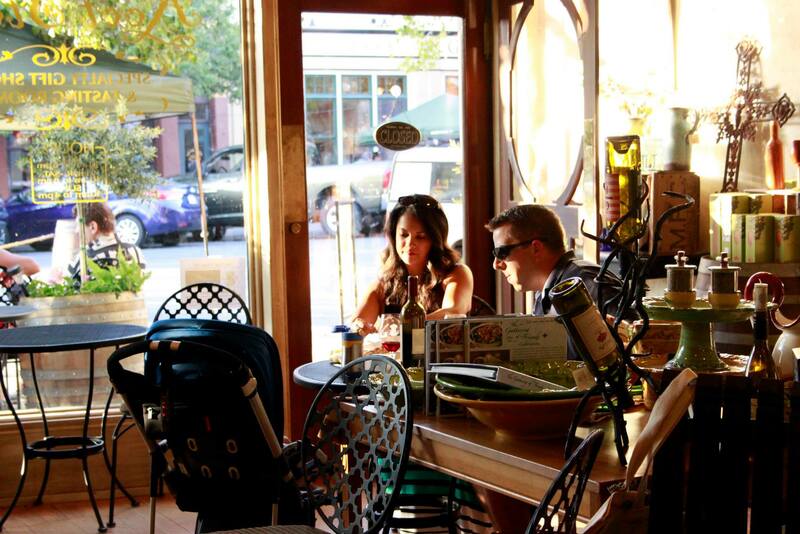 You can taste in the Turkovich Family Wines tasting room (with the wines, if you like) at 306 Railroad Avenue. For more information, call (530) 795-3842 or visit their website here. If you’ve ever longed to have a custom-made guitar, or if you just appreciate fine craftsmanship, you’ll want to spend a bit of time in Arc Guitar. 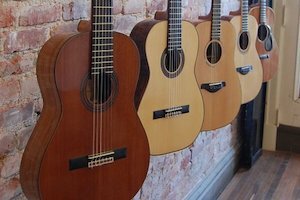 This diminutive shop is staffed by skilled luthiers who specialize in building guitars to customer specifications as well as guitar repairs and restoration. When you visit, you’re sure to see a number of acoustic beauties on display, and possibly watch someone’s piece of artwork being built before your eyes. Arc’s Guitar Building School offers students the chance to build an acoustic guitar using the same techniques and materials with hands-on instruction. Arc Guitar is at 308 Railroad Avenue in historic downtown Winters. Open weekdays 11-6, Saturday 11-3; (530) 795-1795. For more information, click here. 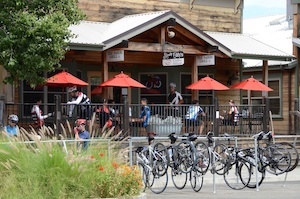 Bicyclists come from near and far to this bastion of good coffee and food in downtown Winters. Indeed, you’ll often see more bikes parked by Steady Eddy’s than anything else. And why not? You can get a hot latte or Monticello Mocca, a selection of teas, fresh fruit smoothies or a number of frozen blended drinks like an extra rich caramel slush. To eat, choose from more than a dozen paninis from French Delight (Brie, turkey and tomato) to Sgt. Pepper Blues (roast beef, blue cheese, tomato, and cracked pepper dressing). You’ll also find a nice selection of wraps, salads, soups, and fresh baked pastries. It’s the perfect place for a carb- and protein-loading rest stop. Steady Eddy’s is at 5 East Main Street in Winters; call (530) 795-3588. 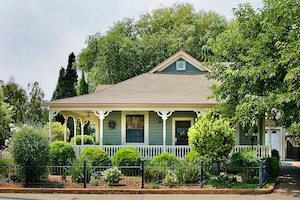 If you want charming, cozy, unique, yet affordable – we have it: The Abbey House Inn is your picturesque Winters stay. Nestled right in the center of downtown and the sole lodging property in Winters proper, you’ll be just steps from restaurants, tasting rooms and more. You can also find The Inn at Park Winters just upfield from Winters. 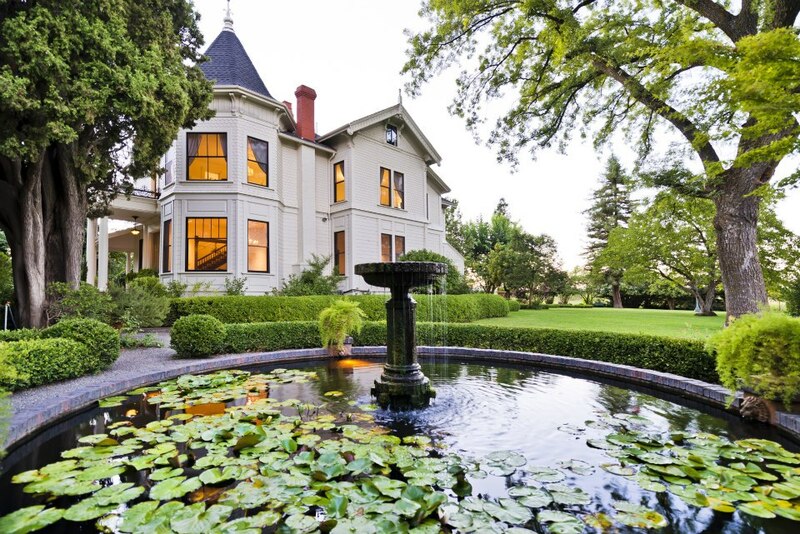 This gorgeous property sits among the rolling fields of Yolo County and is perfect for a stay away from it all. 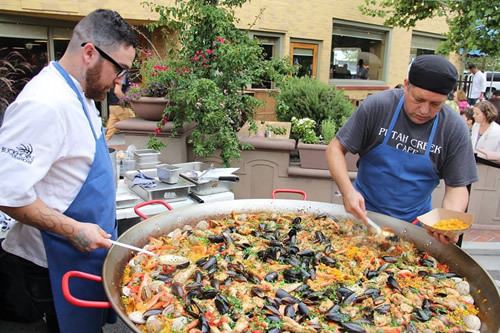 Get all the details on Taste of Yolo Restaurant Week and eat where it grows! 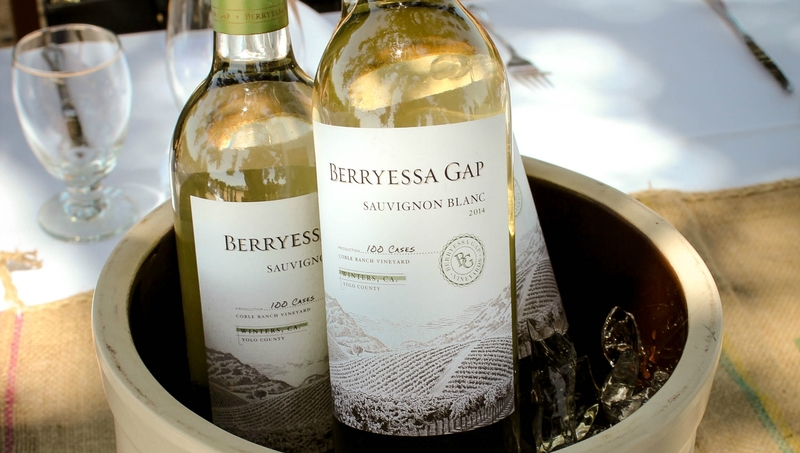 An epic tasting event celebrating Yolo County’s farms, wineries, breweries and restaurants. 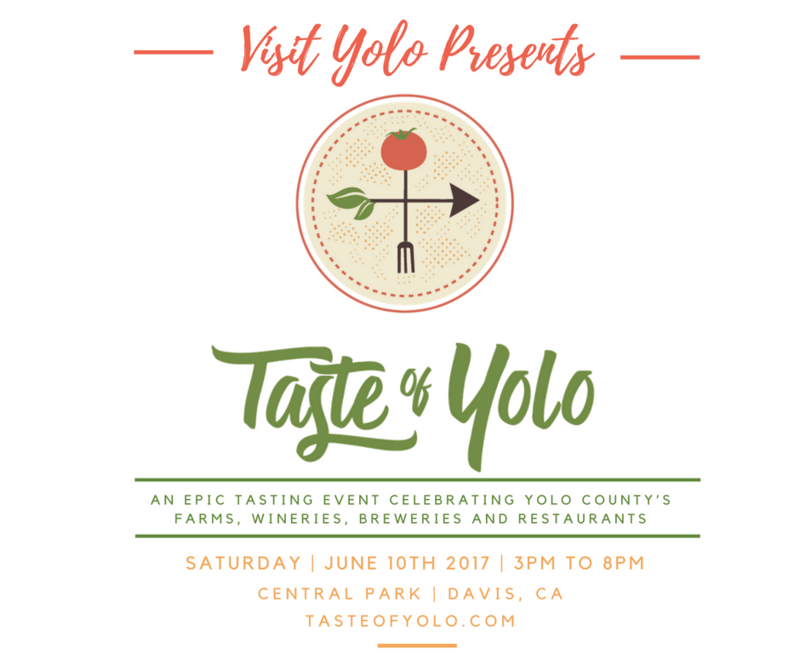 The inaugural Taste of Yolo festival will take place June 10, 2017 in Central Park in Davis, CA. 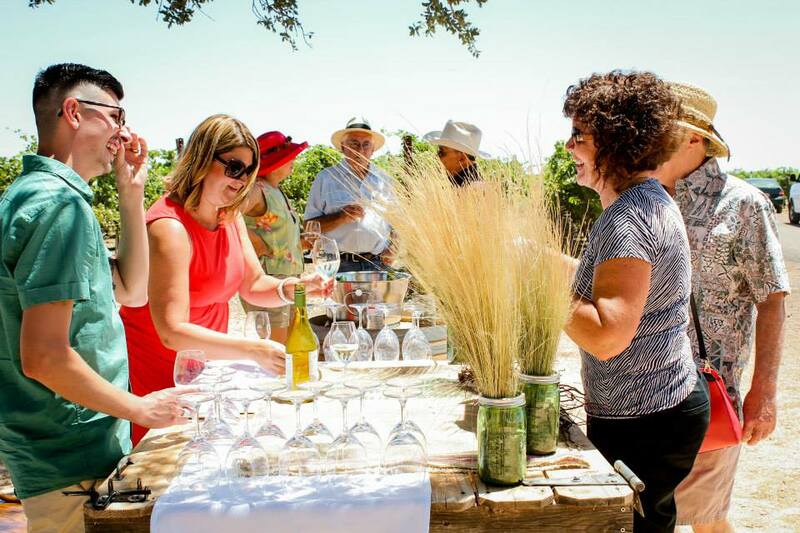 The festival, organized by Visit Yolo, is an epic tasting event celebrating Yolo County’s farms, wineries, breweries and restaurants. Visitors will be treated to a variety of food, drink and farm fresh products as they make their way through a virtual tour of Yolo County with separate sections representing the unique flavors of Davis, Winters, Woodland, West Sacramento, Clarksburg and Capay Valley. 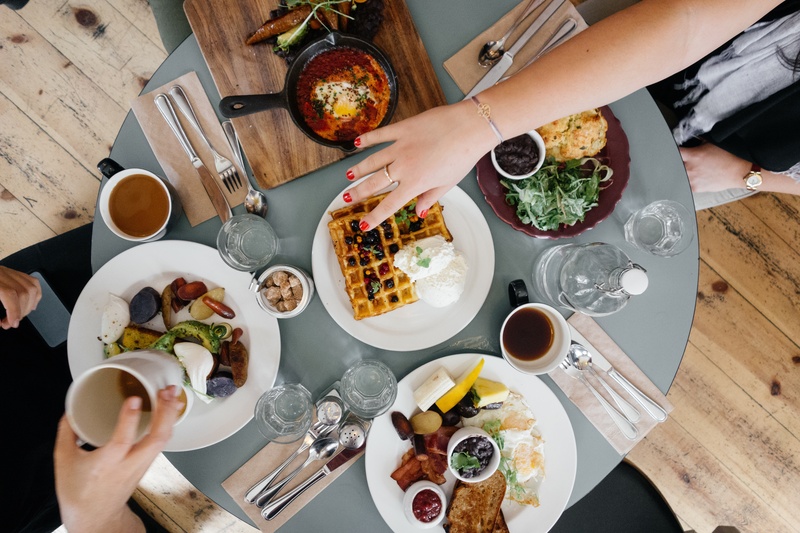 Taste of Yolo aims to deliver an enticing peek at what Yolo County has to offer to weekend visitors and other tourists who appreciate farm to table adventures. “Yolo County growers have been at the forefront of the farm-to-fork movement since its inception. 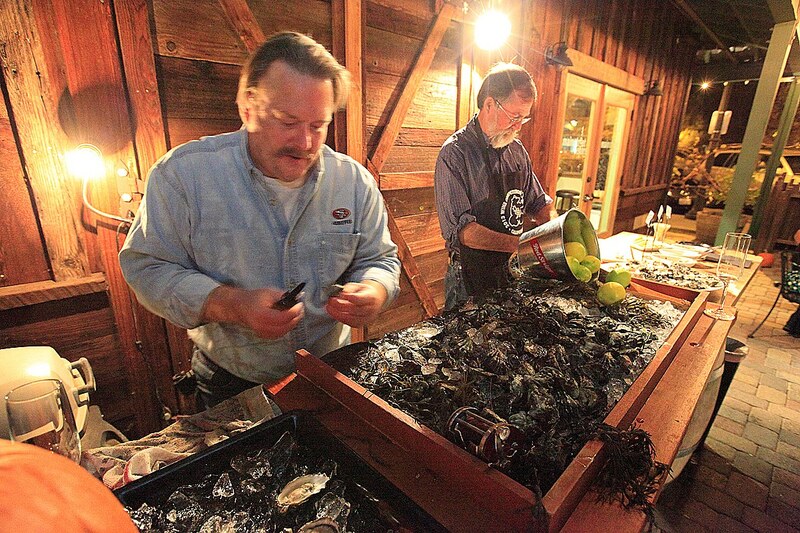 You could even say they have been there long beforehand, given the generations of farmers that have worked this incredibly rich land to grow an abundance of culinary products,” says Alan Humason, Executive Director of Visit Yolo. 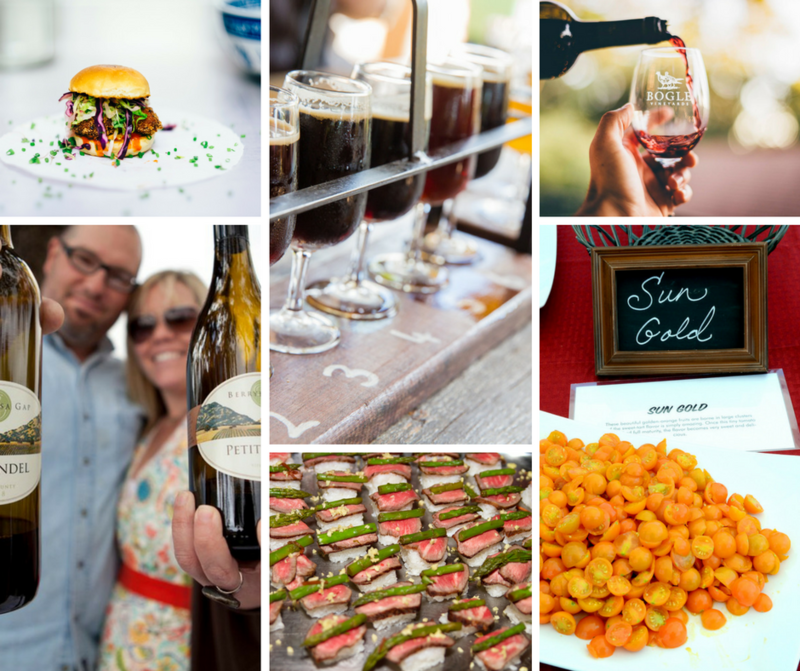 “Taste of Yolo will spotlight many of these producers and give people attending the event the chance to sample, buy, take home and use the good things we grow here in Yolo County.” Taste of Yolo will take place from 3pm – 8pm in Davis Central Park on Saturday, June 10, 2017. 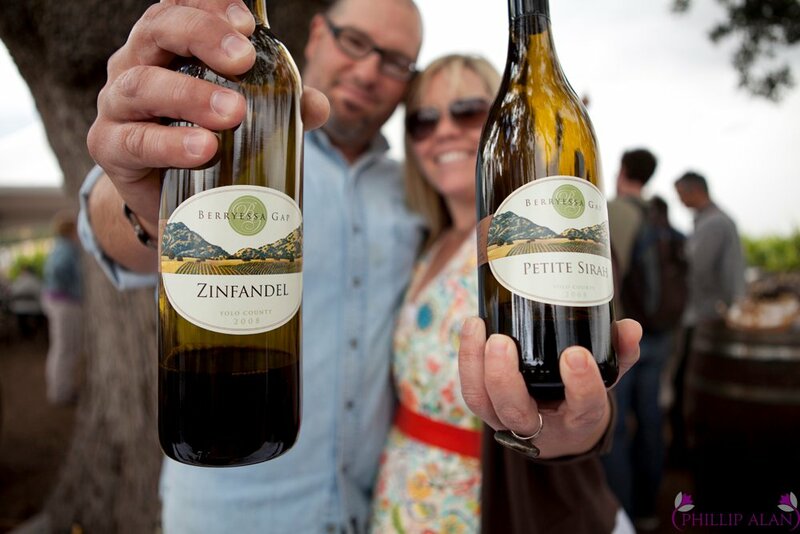 Early bird tickets go on sale in January and are only $15 for wine and food tasting. 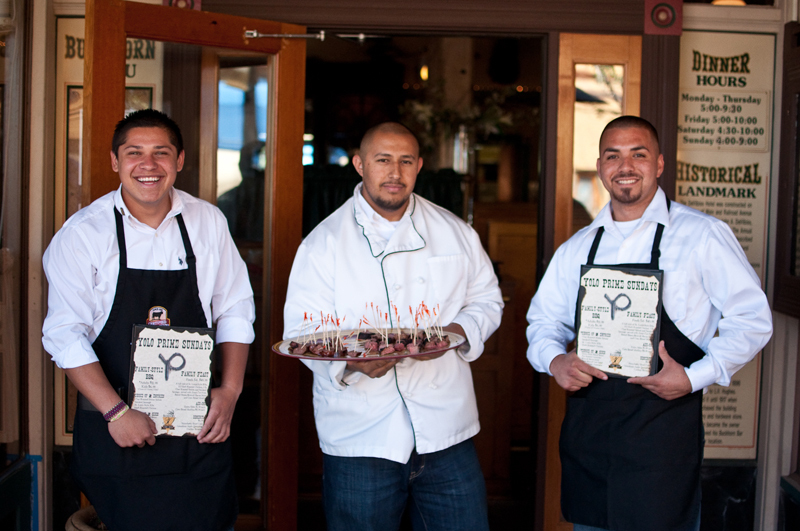 Visit www.tasteofyolo.com for more information or sign up to be notified when early bird tickets go on sale. Yackzan is sipping one of his beers at his Sudwerk Brewing Company in Davis. And it only takes one sip of Sudwerk’s Cascaderade IPA or Big DIPL to realize that he is right. Beer is an emotional beverage, and the emotions it stirs most strongly are happy ones. Joy, exhilaration, delight —it would take a million emoji’s to fully express the pleasure you feel when drinking a really good glass of beer. 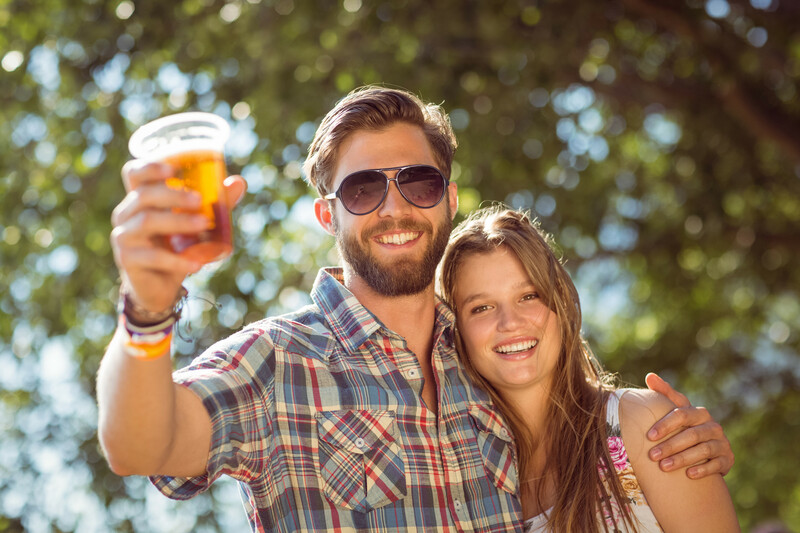 There’s no better place to experience all the pleasures beer brings than in Yolo County. Over the last few years, Yolo has nurtured small breweries that produce some of the best craft beers in California—a half-dozen hospitable spots where you’re guaranteed to taste great beer and have a good time. The birthplace of Yolo County craft beers is Sudwerk, about a mile east of downtown Davis. It was here, in the late 1980s, that two local beer fans, Ron Broward and Dean Unger, pursued their dream of brewing German-style lagers following the five-century-old rules of Reinheitsgebot—the purity law that limited beer ingredients to malted grains, hops, water and yeast. They did it so well Sudwerk became one of the leading breweries of the era. “We just started experimenting with crazy recipes,” says Yackzan. That’s how they came up with Big DIPL, brewed with rare, aromatic galaxy hops from New Zealand. And with the Rye of the Lager, spiced with German rye. (Feel free to sing the Survivor song as you drink the lager.) And with Fünke Hop Farm, an American wild ale aged in petite syrah wine barrels. They’ve also produced an updated version of the Helles Lager, the original German-style brew Sudwerk was known for—but now made with Pacific Northwest hops and dubbed California Dry Hop Lager. It’s become one of their biggest sellers. Sudwerk may be the first, but it’s not the only microbrewery in Davis: Three Mile Brewing Co. pours traditional German Hefeweizen and Belgian Saison (among other beers) in its taproom on G Street. Costello acquired his brewing skills at UC Davis’ world-class program—“I told my parents, I’m 19, not legal age to drink but I want to make alcohol for a living.” And the beers on tap and for sale at Yolo Brewing display both his decades of expertise and his sense of exploration. Among them is Orange Blossom Blond, made with California honey—“it has the aroma of a Sacramento Valley orange grove,” says Costello. There’s also the malty, toffee-tinged Nutty Brown and The Cousins, a porter spiced with cacao, cinnamon, and four chilies. All the beers are served in a spacious setting where you sit at long tables and sip your beer and sup on the food sold by the food trucks outside. Costello also invites bands to play a few nights a week. And if all your beer tasting makes you aspire to beer-making, you’re in luck: Yolo Brewing’s Personal Brewing program will steer you through the process of making your own IPA, Porter or Pilsner. Only a few blocks away from Yolo you’ll come to two more outstanding breweries. Bike Dog Brewing Co. was founded by four friends who—as the brewery name might indicate–love bikes, dogs and beer. You don’t have to show up at Bike Dog on a $3000 Cannondale accompanied by your golden retriever—but some people do. 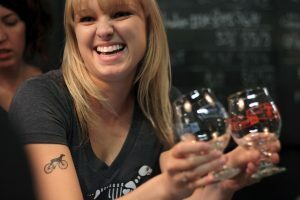 However you show up, you’ll be pleased by the range of craft beers, from Ride Bikes Blonde to Klunker Red Ale not to mention their extremely cool Bike Dog t-shirts. The third West Sac brewery is Jackrabbit Brewing Co. With its sleek, exposed-wood interior décor, it’s possibly the most stylish of the bunch, and its beers are likewise appealing and sophisticated: malty, chocolately Greybeard Old Ale; the unusual Vineyard Dubbel, made with 80 pounds of unsulfited cabernet grapes added after fermentation. 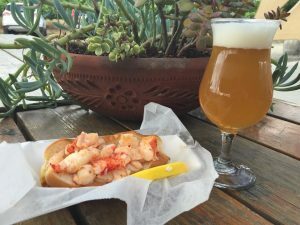 The final West Sacramento beer stop is not a stop but a movable feast. 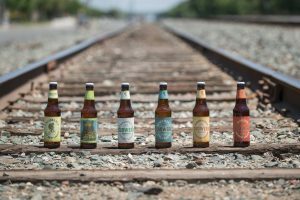 About once a month, the Sacramento River Train turns into the Sacramento Beer Train, where you sample beers from local breweries while taking a 3-hour train ride from West Sac to Woodland and back. The scenery—farm fields, the Sacramento River—is pretty, the on-board food good, and the live music is so hot you’ll want to risk dancing on the moving train car. And the beers, of course, are great. What more could you want? Davis and West Sacramento aren’t the only Yolo County beer centers. 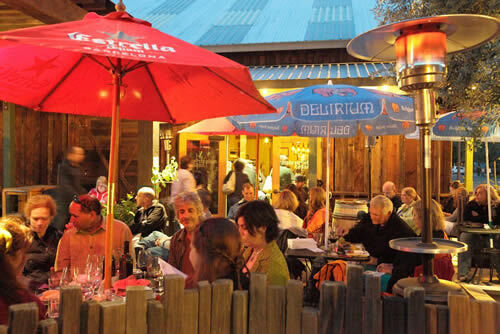 Two smaller towns, Woodland and Winters, have emerged as must-sees for suds fans. Woodland is now home to two excellent craft breweries. Located in downtown’s memorably named Dead Cat Alley (which sounds scary but is not), and housed in the former press room of the Daily Democrat newspaper (look close and you can still see ink on the concrete floors), Blue Note Brewing Company has earned deserved fame for its stouts, porters, IPAs and seasonal beers—and for its proud claim that it’s not merely a microbrewery but an artisan Nano-brewery, where every beer is hand-crafted. 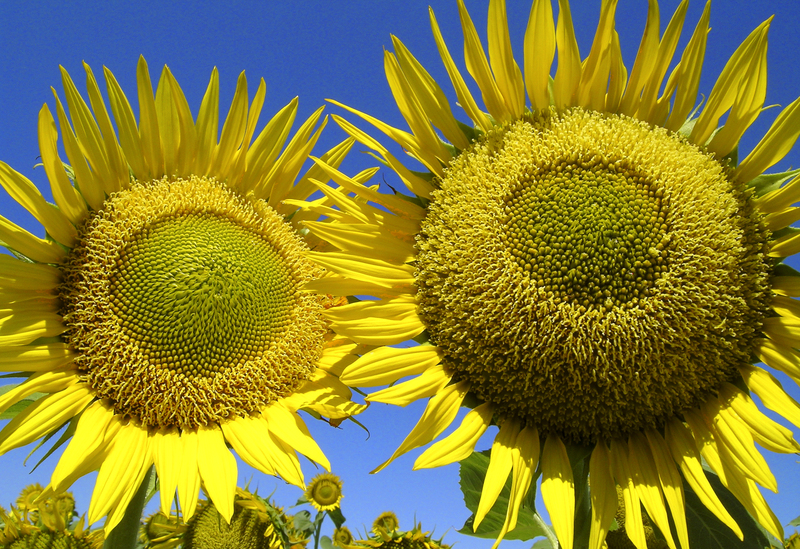 Want to earn your own fame as a devoted friend? 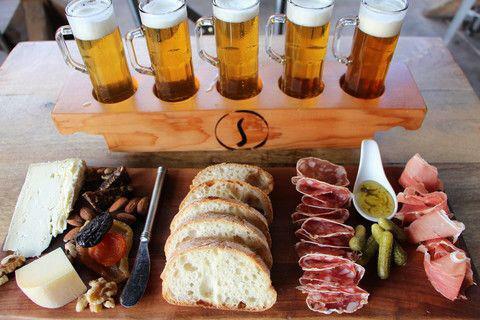 Pre-buy a beer for one of your pals and get both your names up on Blue Note’s Buy A Friend A Beer board. About a mile to the west, Black Dragon Brewery is not just a brewery but a homebrew supply shop. 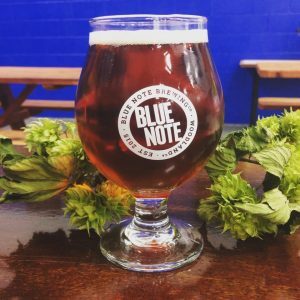 So if you taste their Impaled Ale and Gypsy Blonde and think, these are so good I’d like to try to make some myself, you’re in the right place—they’ve got the equipment and the ingredients to get you started. Now for one last Yolo County beer stop, this time in Winters. 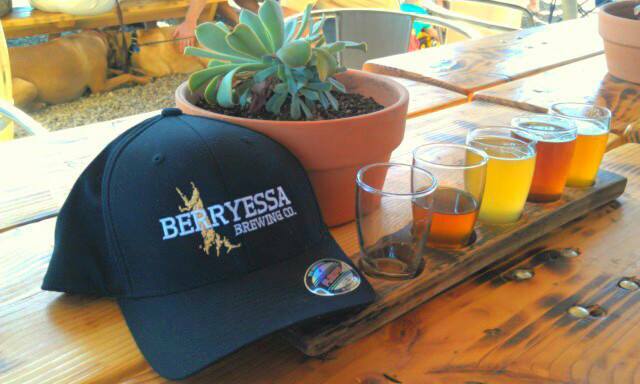 Stop into Berryessa Brewing Company on any weekend afternoon and you’ll likely see throngs of people lining up to grab glasses of brewmaster Chris Miller’s House IPA and Propaganda Pils to take to the picnic tables out front. There’s usually a food truck in the immediate vicinity. There’s usually a really good band. There’s usually a nice breeze to balance out the warm sun. And, of course, there are the beers. Is that a recipe for a perfect afternoon? You bet. 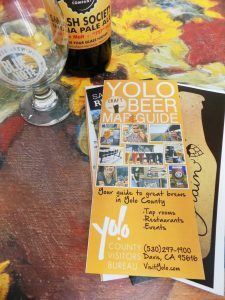 Visit Yolo has just published the Yolo Craft Beer Map & Guide, highlighting local breweries, restaurants and annual beer events. The comprehensive guide includes a map showing every location people can visit to try the abundance of craft beers throughout the cities of Davis, Winters, Woodland and West Sacramento. The 12 restaurants listed are notable for their wide selection of local brews on tap and in bottles. The events include Davis Beer Week and the Yolo Micro Brew Festival; there’s also a nod to the Sacramento River Train’s enjoyable Beer Train excursions. Request your free copy of the Yolo Craft Beer Map & Guide today. Three Mile Brewing Co.; 231 G St. Suite 3, Davis; www.threemilebrewing.com; (530) 564-4351. 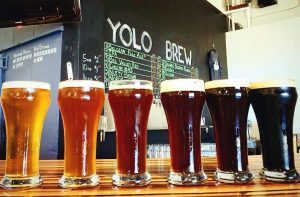 Yolo Brewing Co.; 1520 Terminal St, West Sacramento; www.yolobrew.com; (916) 379-7585. Bike Dog Brewing Co.; 2534 Industrial Blvd #110, West Sacramento; www.bikedogbrewing.com; (916) 572-0788. Jackrabbit Brewing Co.; 1323 Terminal Street, West Sacramento; www.jackrabbitbrewingcompany.com; (916) 873-8659. Blue Note Brewing Co.; 750 Dead Cat Alley, Woodland; www.bluenotebrewingcompany.com; (530) 358-4677. Black Dragon Brewery; 175 W. Main St., Woodland; www.blackdragonbrew.com; 530-666-5347. Berryessa Brewing Co.; 27260 Hwy 128, Winters; berryessabrewingco.com; (530) 795-3526. Davis Beer Week: August 15-21. Food and craft beers all around town. Yolo Brew Fest: September 3rd. Featuring dozens of craft breweries. Few small towns in America are as charming, and lively, as Winters. 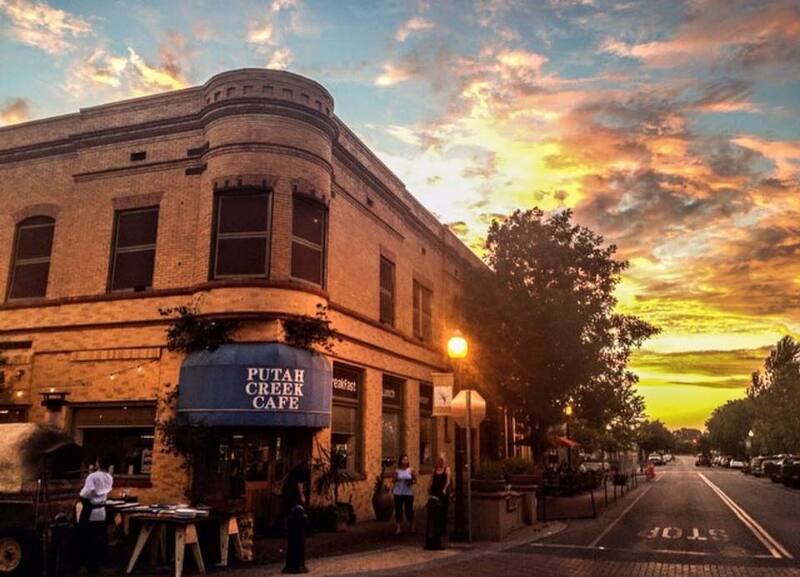 Perched above meandering Putah Creek, Winters boasts a handsome historic downtown that’s full of shops, tasting rooms, dining places, and good times. Go ahead ~ Discover Winters.